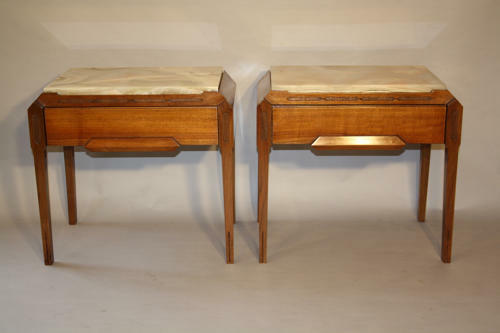 An elegant pair of side tables with cream onyx tops and single drawer. Would work well as bedside cabinets or end of sofa tables. Italian c1950.